Intro to Inbound: What is Inbound Marketing? Today, we'll take a cue from Julie Andrews and start at the very beginning: What Is Inbound Marketing? 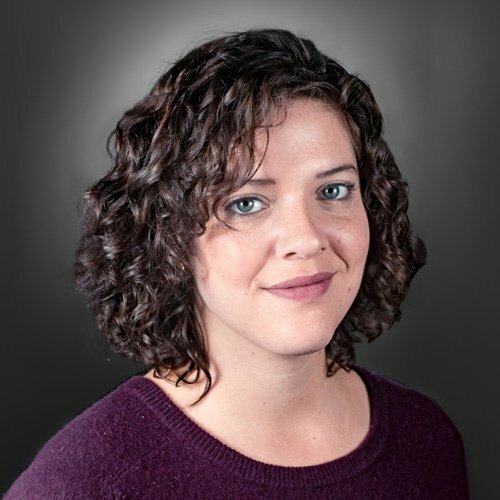 "Inbound Marketing is the best way to turn strangers into customers and promoters of your business." That certainly sounds like a good thing. And while it may not tell you much about the specifics of inbound marketing, it does tell you the overarching goal. Turn strangers into customers into promoters. 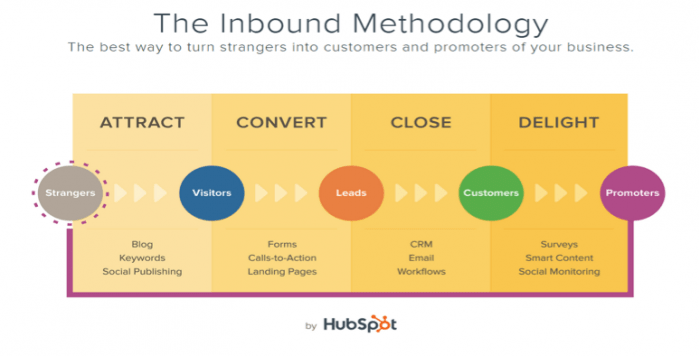 This is known as the inbound methodology, as clearly laid out in this beautiful graphic (also from HubSpot). Where Did Inbound Marketing Come From? The inbound marketing methodology developed because traditional marketing simply was not working as well as it used to. The development and spread of internet access and online media meant that consumers were more informed than ever and savvier towards those traditional tactics. People just didn't want to be interrupted anymore. They wanted to do their research on their timeline. That was the impetus for inbound marketing. Inbound marketing doesn't interrupt consumers and try to sell them something they don't need. Rather, it offers something of value to those consumers and leaves them educated and ready to make smart decisions. The inbound marketing cycle is not all that different from what traditional marketing might look like. The difference is that by offering great content online, to your most valuable customer persona, you can collect leads all the time. Your customers-to-be will search for the answer to a question about a problem they have. For example, if you sell industrial refrigerators, they might be looking for information on how to fix a leak in an industrial refrigerator. And the first thing that pops up is a blog entry you and your team created for just that occasion. The future customer, who may have never heard of your brand before, now knows who you are and maybe they even download your eBook that compares different refrigerator models. But to get that eBook, which is a valuable and relevant resource for them, they have to put in their name and email address. That adds them to your list so that you can send them carefully crafted emails about their specific needs. When the time comes to replace finally that refrigerator - which might be a week or six months from now - your brand will be top of mind because you have continued to provide them with information that they need when they need it. Of course, inbound marketing is not just eBooks and blog posts. It is all kinds of content and a variety of online channels, too. It includes search engine optimization (SEO), social media posting, webinars, website design, and personalization. We'll be going into the various specifics of inbound marketing in future posts. First of all, stay tuned for the rest of our blog series Intro to Inbound. If you want to know more about the fundamentals of inbound marketing right now, watch our free webinar by clicking below.